Super Coupon Woman Side Hustles Full Time…What are yours? In Feb 2017, I was working at a restaurant where a small child tripped me (accident) causing me to fall with a full tray of dishes that I was carrying. Since the restaurant was full, I quickly moved the tray back to avoid any of it hurting or injuring guests causing me to end up with a shoulder injury. They did not go through workman’s comp and I did not know how to handle the situation and just moving into an apartment with no money saved due to the circumstances that happened over the past few years and spending extra on paying it forward so I couldn’t stop working. I endured the pain for 18 months hoping at some point they would do the right thing and get it fixed. I abruptly quit on July 22nd which was a hard decision for me since I really loved serving. I know most look at it as a job to get them through the next stage in life. I couldn’t tell you how many times I heard others say “I can’t wait to get a real job”. I got to the point that I really don’t care if I ever carry another tray in my life again which took a lot. I have been off about two weeks so far, and had just enough to cover rent and insurance…so a little scary since I need to make at least $400 a week. I am going to share my journey and tell you what I am doing to make money and the side hustles that work, I would like to know what your side hustle is and how much you make per month. I am getting back into Mystery Shopping and having to resign up for a lot of them and trying to sign up for more because they all offer different shops, and what might work for some might not work for others. I am starting out with some easy ones and trying new things such as compliance shops and price audits hoping to do a lot of different ones to build my profile up. I am wanting to be a scheduler or editor as well although they seem really busy! But, if I can work at home and not deal with mean bosses, I am all for it. So of course my mind is reeling of how I can bring in income to let my arm heal since I can’t really go get another job without informing them about my hurt arm. Over the next few months I will share what I have done to bring in extra income, and how it’s working. I would love for you guys to comment and let me know what you do to bring in extra income. Please only legitimate opportunities that require no money or very little to start up. I have to approve the post, I have done a lot of research and know most of the legitimate ones from the scams. So far I have signed up for Shipt and waiting to hear back from them. Some say it takes a few weeks to a couple months depending on if they need shoppers in your area. Thinking about doing Lyft or Uber Eats, but don’t like to drive highways, just the back roads so not sure if this would be beneficial. Continuing to do online research and signing up with other mystery shops. I have signed up for Insta Cart successfully and waiting on my card to arrive. I have done two shops at I Secret Shop and have three more scheduled for the week that have been super easy and will make $50.00 completing them. I am taking steps to becoming a price auditor with GFK They require a background and drug test for this step that you pay for but they reimburse you after you two audits. 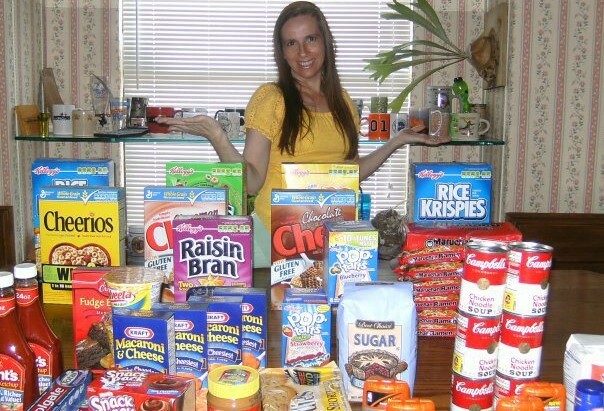 Help this poor girl out and save your family money by learning to coupon and shop retail for 85% savings, and learn how I have given over $200k back to my community as a single mom and going strong. Share what you have been doing this week to bring in extra income. 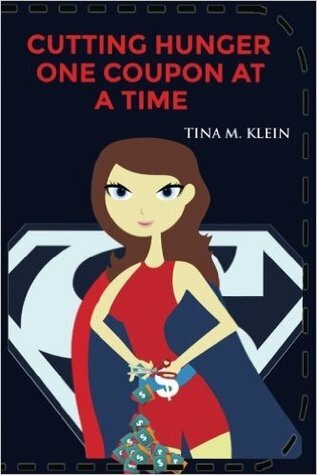 Super Coupon Woman has a New Adult Coloring Book for Everyone! This is a couple’s coloring book to color cute sayings for each other to let the other know how you are feeling that day! There are two of each saying so each one will have one to color and give throughout the year to remind each other of your connection. 17. You Rock My World! 50 total coloring pages. Great Gift For yourself or to give to the love of your life. Enter to win a copy of “Cutting Hunger One Coupon At A Time” Contest ends March 31st! Super Coupon Woman’s Get Out Of Debt Journey Update! I will be paying all of the rent for the next 8 months starting in March to pay Hannah Back…then she will be paying 500 for rent and insurance, so if I can make it through 8 months…I will be able to breathe again.